Sue Hitzmann’s The Melt Method is a perfect example of innovation in healthcare coming, not from the mainstream medical establishment, but from an individual in the private sector responding to her own personal health challenge. In her role as a fitness expert, personal trainer and therapist, Ms. Hitzmann was injured, causing her to pursue a course of study and research that took her to an advanced understanding of neurophysiology and the role of the skin and fascia as an extension of the nervous system and part of the body’s energy conduction network. The fascia is a vast network of connective tissue that envelopes and encases the entire body and all of its organs, muscles and other tissues. What most people, including doctors, do not realize is that the fascia is not just connective tissue but is neuro-conductive tissue that interfaces with the nervous system. Few people outside of the field of connective tissue research have achieved Ms. Hitzmann’s depth of understanding of the role of the fascia as a neuro-conductor. Her recognition of dehydration or under hydration of the fascia as being responsible for inhibited conductivity constitutes a breakthrough in our understanding of this deceptively complex tissue. Ms. Hitzmann’s development of a series of self help exercises that are easy and pleasant to do and extraordinarily effective in rehydrating the fascia, restoring flexibility, resiliency and conductivity is an important innovation in the field of physical rehabilitation. 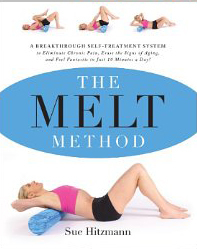 Surprisingly, the benefits of The Melt Method® appear to extend far beyond what one might expect from working on the musculoskeletal system. Practioners of The Melt Method® frequently report improvement in a variety of symptoms not usually associated with connective tissue problems. They consistently report improvement in a wide range of conditions such as headaches, irritability and other mood issues, sugar cravings, poor sleep, digestive disturbances, low energy and difficulty focusing. When people consistently report improvements of this kind after doing the Melt exercises, it clearly indicates that the benefits extend beyond muscles and connective tissue, to systemic improvements affecting the entire physiology. I, as a chiropractic physician, can easily understand this phenomenon. Frequently people who have received chiropractic care for neck and back pain report that they were pleasantly surprised to experience unexpected benefits from their spinal correction. They report improved sleep, elimination of headaches, reflux, indigestion and constipation, as well as improvements in painful and irregular menstrual cycles and many other conditions. This tells me that The Melt Method® has a high level of validity as a “stand alone” wellness practice or as an adjunct to chiropractic care. Empowering people through safe and effective self help is one of the most valuable services we as professionals can provide. 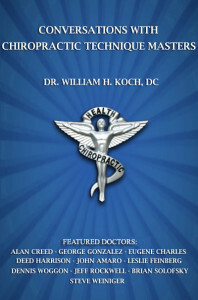 I highly recommend this book to anyone suffering from chronic pain, and also encourage other chiropractors to investigate this system and to consider adding The Melt Method to their practice as a good form of at home maintenance exercise.